Beautiful, clean apartment and excellent staff support. Everything was was well designed and new. We will be back and recommend to our friends and family. Everything was far above expectations. The apartment is fully equipped, clean, central location and staff excellent. As well, as we arrived very late, no one was at the reception, but all the instructions were clear and easy to follow. Thank you! It's a great location. Great restaurants and great facilities in the apartment. Perfect location, had stayed there before,so coming back and bring friends proves everything, very clean and spacious,has everything we need for a perfect holiday,definitely recommend. The location was excellent. Near everything beach,town,restaurants. In the middle of the center but quiet. The bed was very comfy. The kitchen had all you need. Refrigerator, freezer and microwave were almost new. Everything. Beautiful modern flat with up-to-date equipment and fittings throughout. Brilliant location in a really nice little seaside resort. Gorgeous views out to the Atlantic from the lounge, Staff were a delight to deal with. Lock in a great price for Cerca Da Vitoria 2 Sesimbra – rated 9.3 by recent guests! One of our top picks in Sesimbra.Located in central Sesimbra, these modern apartments are 650 feet from the nearest beach area. Costa da Caparica is a 35-minute drive, while the Lisbon center is a 43-minute drive from Cerca Da Vitoria II. Local restaurants are accessible within 656 feet, most serving traditional Portuguese meals. Alternatively, guests may wish to take advantage of their self-catering apartments and prepare their own meals in the kitchen or kitchenette. The green areas of the Arrábida Natural Park are a short 5-minute drive away. Lisbon International Airport is a 45-minute drive from the Cerca Da Vitoria II. This property also has one of the top-rated locations in Sesimbra! Guests are happier about it compared to other properties in the area. 뀐 Located in the top-rated area in Sesimbra, this property has an excellent location score of 9.7! When would you like to stay at Cerca Da Vitoria 2 Sesimbra? This apartment with Ocean views features a private bathroom, equipped kitchenette and a dining area. The unit comes with a flat-screen satellite TV and sofas in its living area. This apartment features a private bathroom, equipped kitchen and a dining area. House Rules Cerca Da Vitoria 2 Sesimbra takes special requests – add in the next step! Please note that the 30% deposit of the total reservation amount charged on day of booking must be paid by bank transfer. 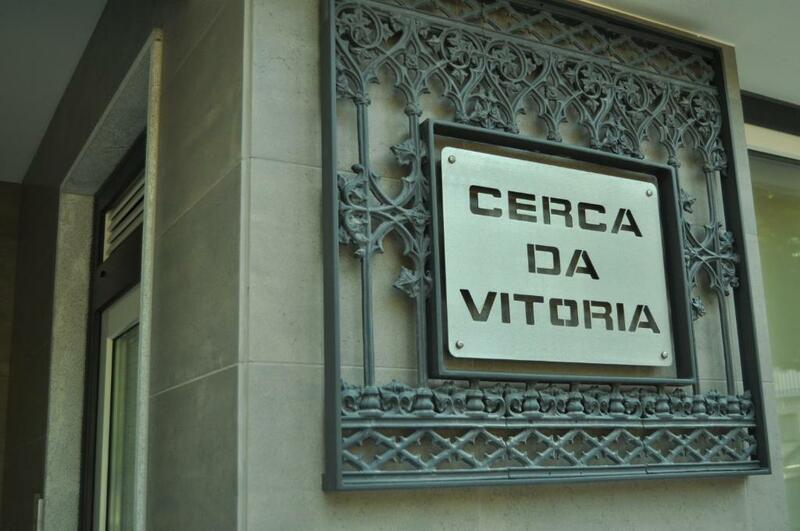 Cerca Da Vitoria II will contact guests with further details. The remaining amount will be charged in cash at check-in. For stays of more than 8 nights, linen and towels change will be done at mid-stay. Please note that the WiFi signal may be weaker in certain apartments. Please inform Cerca Da Vitoria 2 Sesimbra of your expected arrival time in advance. You can use the Special Requests box when booking, or contact the property directly using the contact details in your confirmation. Please note that check-in and key collection take place at: Largo 5 de Outubro, 10, Sesimbra 2970-652. The sofa was not that comfortable. Also...from my personal point of view, even though the apartment meets all expectations, it lacks personality. It looks like taken out from an Ikea magazine. The bed in our room is small for two people. The people at the reception are accommodating and friendly. The room and the whole area in the building are very clean. Location is great because it is located near the beach and different food establishments and stores. There are free parking spaces in the basement, eventhough it was narrow.